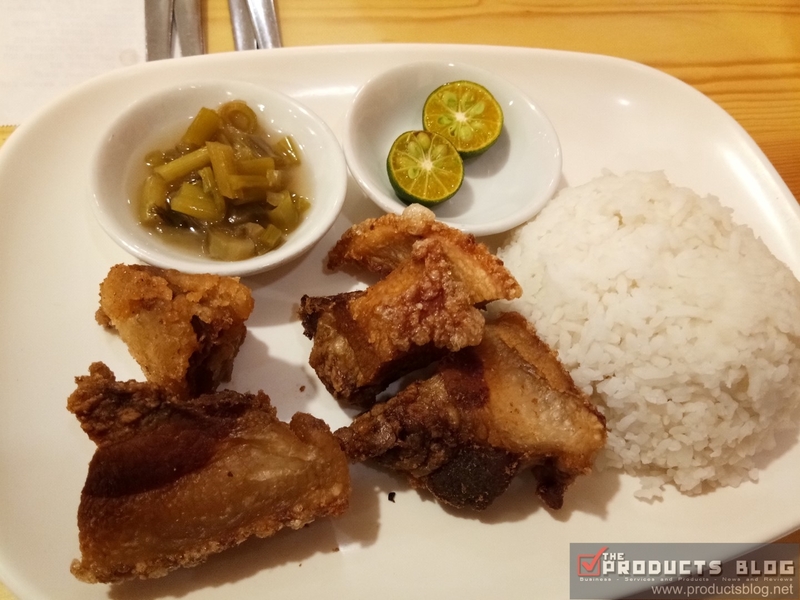 Whenever we say “bagnet” we will immediately think of ultra-crispy fried pork which is very popular in Cebu and in the Visayas. 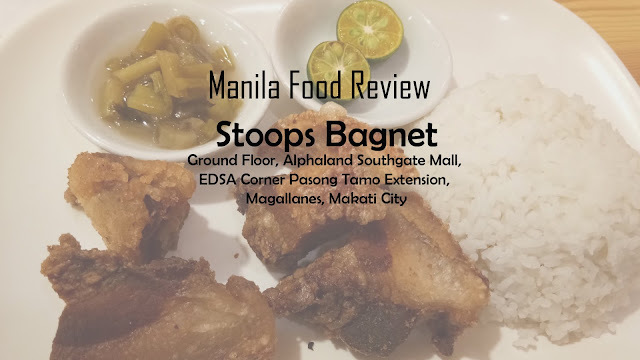 I was looking for a place to eat and try out near our office at Alphaland Southgate Mall and then I decided to stop by at Stoops Bagnet and here is our experience. The place is nothing out of the ordinary. 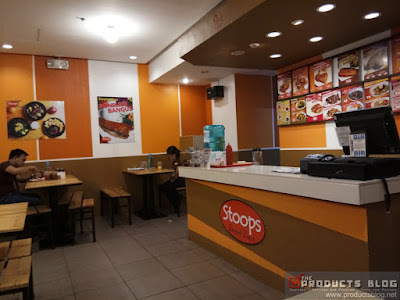 It is the usual fastfood and restaurant look. 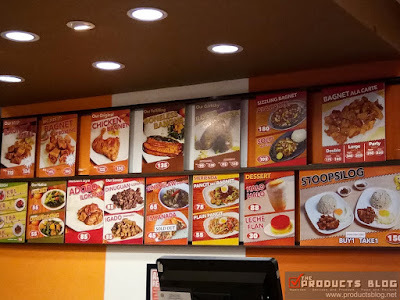 You will just be here to experience bagnet and the other food that they offer. You can also bring along the barkada and eat together. However, for parties and the like this is definitely not the place to be. I have tried their usual bagnet and their sisig bagnet. For the Pork Bagnet, I would say the pork is crunchy and I enjoyed the meaty part, however the fats which are also supposed to be crunchy is very hard to chew. Bagnet for me should be crunchy from meat to the fats that is included in it. 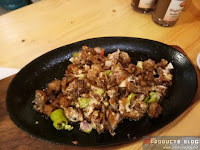 Let’s go to the Sisig Bagnet, I would say it is very tasty and in fact it is one of the tastiest sisig that I had ever encountered. As I chew and savor every bit of it I begin to realize that there is more in the flavoring that I should take notice. 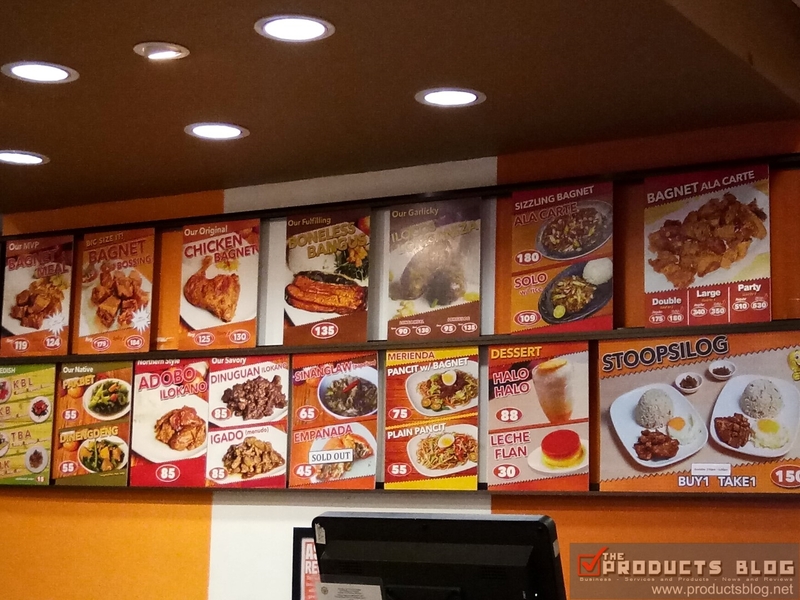 After savoring it, I realize the worst as I became sleepy – IT WAS FULL OF MSG. The tastiness that I had felt was all because of MSG. In fact when I went home and sleep I woke up in the middle of the night suffering from sore throat and severe acidity. I would not say that all of their food contains a lot of MSG but I would suggest if this restaurant stays away from MSG. There are various ways to make food flavorful. They could do better than that and I hope that next time it would be a lot better. 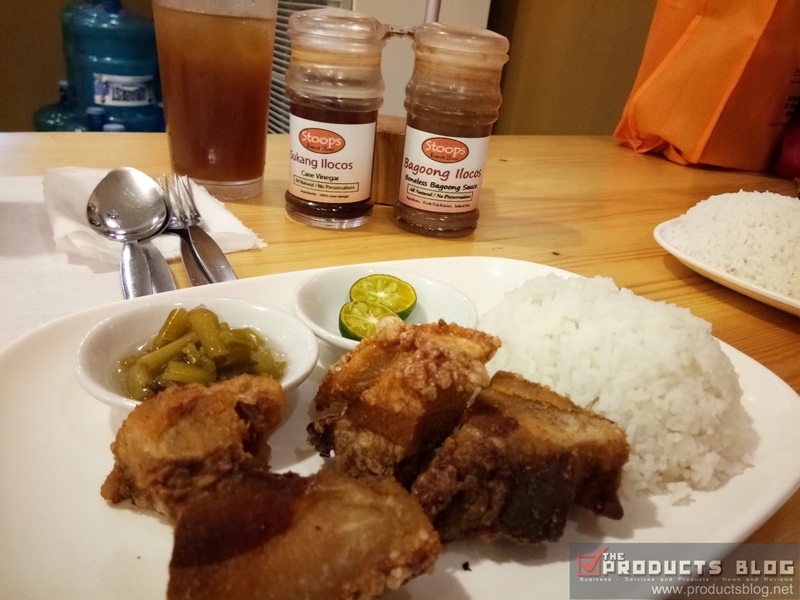 I love bagnet and I would say that I am not very satisfied with my experience here so I am giving them 2.5/5.00 rating. 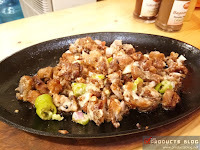 Improve the cooking of the bagnet and they should improve on how they cook food and use seasoning. Remember that health is wealth. It would take just one complaint to shut your business down. Have you been to Stoops Bagnet as well? What’s your experience? Share it with us.